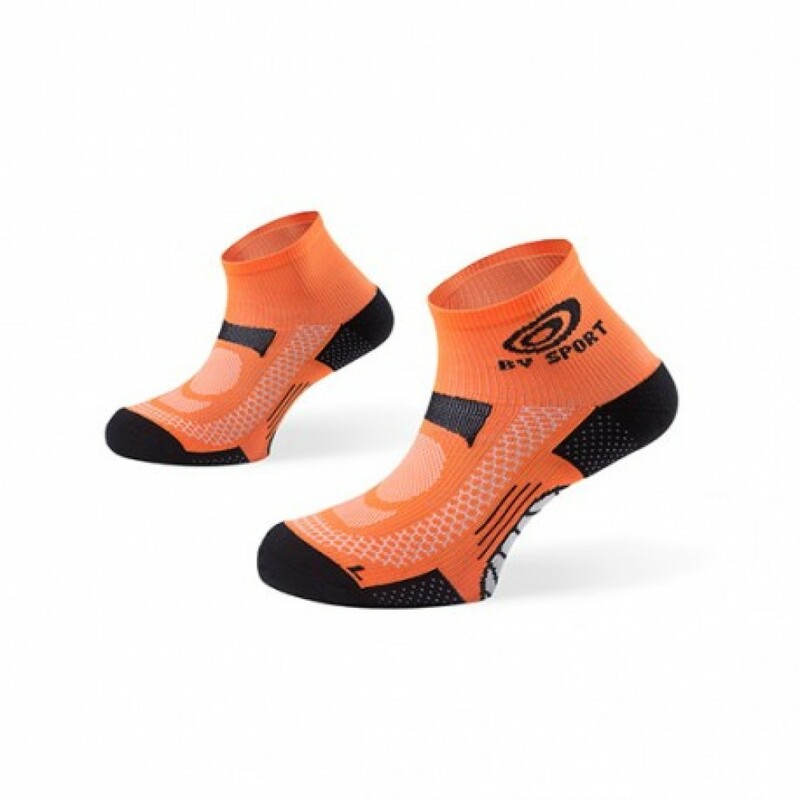 Technical and light ankle socks, it is very solid and comfortable. There is an optimisation of sole foot for a support of the plantar apeunorosis. There are Flat seams and support at the top of the shoe. Heel and Tip toes are reinforced. The FRONT AIR system assures a better ventilationn on the top of the foot. Anatomical respect of the right and left foot.